Salary calculation is intrinsic part of a payroll software and Intelli Payroll desktop payroll software does this effortlessly. Salary calculator or the payroll software developed by Prodigy Technologies calculates earnings and deductions as provided by the employer. It also calculates as per the provisions all the statutory heads, namely PF, ESIC, PT, LWF, TDS etc. one can have unlimited heads with complex formulae including conditional formula applied in the salary calculator software. 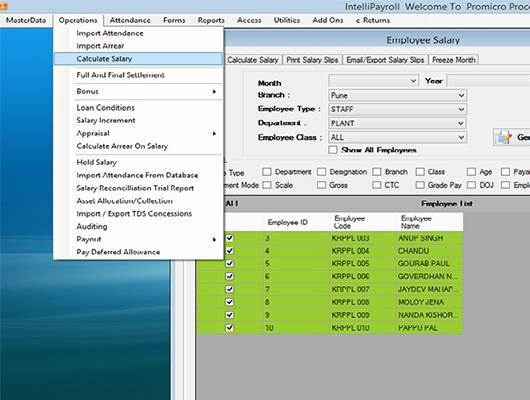 Login user can calculate employee's salary using the formula defined in the system. User will get the sample report called trial audit of the all employees. Once the report is generated user can verify and confirm the salary of all the employees for that month. Arrears calculation on the Intelli Payroll salary calculator is very simple and intelligent, user can calculate arrears on attendance and salary increment. 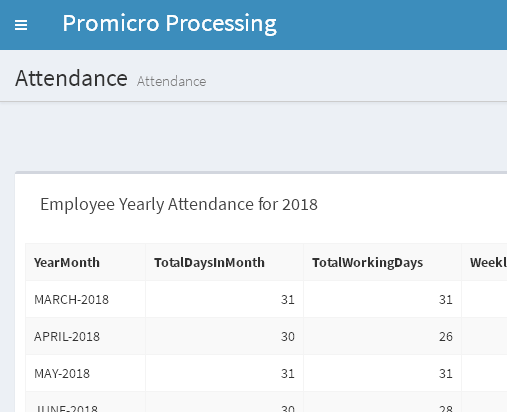 If arrears calculation on employee’s attendance is to be calculated then just provide the days and the payroll software will calculate arrears. Arrears calculation on salary increment can be calculated once the salary is incremented. Arrears are divided into 2 parts arrears on basic DA for PF calculation and arrears on salary. Arrears attract income tax hence equivalent tax will be deducted in the month of arrears disbursement. PF calculation is as per the EPFO and all the related rules are applied while salary calculation, all the 5 accounts Ac 1, Ac 2, Ac 10, Ac 21, Ac 22 are calculated as per the rules, admin can also change the values of the contribution wage limit as per the company rules. PF ECR is automatically calculated once wages are saved. ESIC rule is also applied as per the rules of the ESIC and salary calculator module calculates salary accordingly. ESIC online statement is then downloaded which can be uploaded to ESIC website. Once salary is calculated payslips are easily generated and downloaded from the payroll software. A Payslip can also be mailed to the respective employee’s email ids. 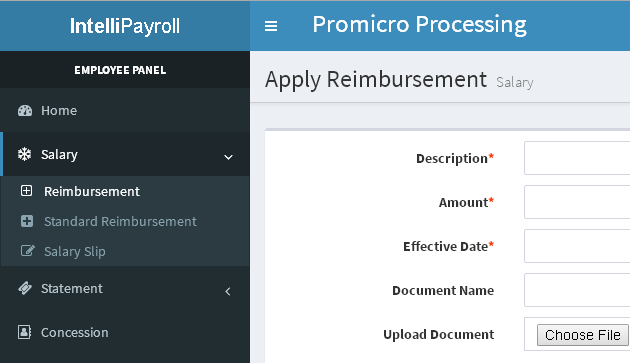 In the epayroll software employee can download his own salary slip format from the employee portal . The payslip format contains all the important and required data for salary calculation such as attendance, leave taken and balances, earnings, deductions, Income tax, PAN number, PF number and other master information of the employee.